A vertical sundial and several mass dials on the church. Un cadran équatorial à Francfort en Allemagne, par Reinhold KRIEGLER. 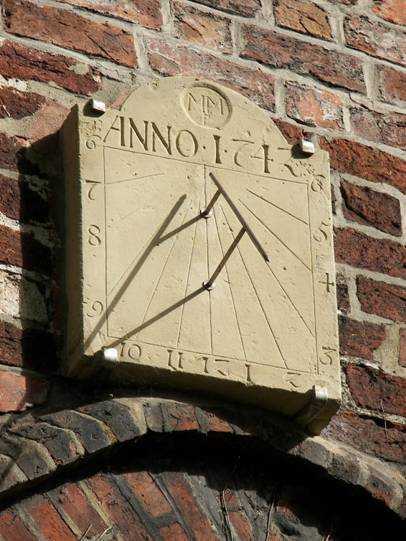 A vertical sundial on the castle. Several mass dials on the church.